MISWAAK - twigs of certain trees that are used on a regular basis by Muslims for centuries (and all Prophets Peace upon Them) to maintain oral hygiene and gain the pleasure of Allah SWT. It is a "natural toothbrush." Not only does it provide spiritual benefits, but it is also beneficial to the everyday maintenance of one's mouth, gums, and teeth. Rasulullah (ﷺ) laid great stress on the use of the Miswaak (a tree-twig used for cleansing the teeth). One of the Sunnats of Wudhu is to use a Miswaak. Wherever a Miswaak is available and is not used, the full beauty and complete Sawaab of the Wudhu is not realised. There are numerous benefits and advantages in using a Miswaak. The Miswaak, a tree-twig, was in use for brushing and cleansing the teeth long before the advent of our Holy Nabi(ﷺ). In fact the records of our Nabi Muhummad's (ﷺ) Ahadith indicate that the Miswaak was the "Sunnah" or practice of all the Ambiyaa (Prophets of Allah)—Peace be upon them. 'Four things are amongst the practices of the Ambiyaa —circumcision, application of perfume, Miswaak and marriage'." Several other Ahadith of our Nabi(ﷺ) also mention the Miswaak to have been the practice of the Prophets (Upon Whom Be Peace). Thus, we can safely claim that the practice of using the Miswaak is as old as mankind itself since Mankind's origin on the planet was with the appearance of the first Nabi of Allah, viz. Adam . Therefore, among the many advantages and benefits of using the Miswaak, one of the greatest benefits is the good-fortune of being associated with the Ambiyaa in this holy practice. On the other hand, those who neglect the use of the Miswaak invite upon themselves a great misfortune by being deprived of the tremendous amount of Sawaab (Reward) which this noble practice carries. "It surprises me how people could forgo such a great Sunnah, the significance of which many Ahadith of our Nabi(ﷺ)explain. Remember that it is a great loss to neglect the Miswaak." Islam has accorded an elevated status to the Miswaak. Its importance has been stressed in many Ahadith of our Holy Nabi(ﷺ) The statements and examples of the Sahaba and the Ulama of Islam regarding this practice bear testimony in abundance of the significance of the Miswaak. 'Make a regular practice of the Miswaak, for verily, it is healthy for the mouth and it is a Pleasure for the Creator (i.e. Allah is pleased with the Muslim who uses the Miswaak)'." "Make the Miswaak (i.e. its use) incumbent upon you, and be constant in this practice because Allah's Pleasure is in it and it increases the Reward of Salat from ninety-nine times to four hundred times." In fact, the importance of the Miswaak is such that at one stage our Nabi (ﷺ) was under the impression that Allah Ta'aala might decree the use of the Miswaak Fardh (compulsory) upon the Ummah (Islamic Nation). 'Use the Miswaak, for verily, it purifies the mouth, and it is a Pleasure for the Lord. Jib-ra-eel exhorted me so much to use the Miswaak that I feared that its use would be decreed obligatory upon me and upon my Ummah. If I did not fear imposing hardship on my Ummah I would have made its use obligatory upon my people. Verily, I use the Miswaak so much that I fear the front part of my mouth being peeled (by constant and abundant brushing with the Miswaak)'." "Abu Hurairah narrates that Rasulullah (ﷺ) said: 'Was it not for my fear of imposing a difficulty on my Ummah I would have ordered that the Miswaak be used for every Salaat'." 'I was commanded to use the Miswaak to such an extent that I thought the Miswaak would be made obligatory'." 'I was commanded so much to use the Miswaak that I thought Wahi of the Qurtaan (Revelation) would be revealed, regarding it (i.e. its use)'." 'These (practices), viz., Miswaak, Witr Salaat and Tahajjud Salaat, are Sunnat for you and Fardh for me'." "The Messenger of Allah (ﷺ) would use the Miswaak (regularly) prior to sleeping and after rising from sleep." "Whenever you retire for sleep, use the Miswaak." "Verily, the Messenger of Allah (ﷺ)would use the Miswaak before making Wudhu (ablutions) whenever he arose from sleep, whether it be during the night or during the day." "The Messenger of Allah (ﷺ): would use the Miswaak at night time (i.e. Tahajjud time) after every two Rakaats Salaat he (ﷺ) performed." "It is Mustahab to use the Miswaak after every two Rakaats of Tahajjud Salaat (i.e. the Salaat which is performed after midnight), as well as on Fridays, before sleeping, after Witr Salaat and when rising in the morning." 1. For the recitation of the Qur'an. A Miswaak should not be longer than a "span" i.e. the maximum distance between the tips of the thumb and little finger, and it should not be thicker than a finger's breadth. Aisha replied: 'Rasulullah (ﷺ) would use the Miswaak'." "Whenever Rasulullah (ﷺ) left the house he would use the Miswaak." "I have used the Miswaak before sleeping, after rising, before eating and after eating, ever since I heard the Nabi (ﷺ)advising so'." 'Verily, your mouths are the pathways of the Qur'aan (i.e. you recite with your mouth), therefore cleanse your mouth with the Miswaak thoroughly'." "The use of the Miswaak has greater emphasis when one intends to perform Salaat, Wudhu and reciting the Qur'aan." 'O Gathering of Muslims, Allah has made this Day (Friday) a Day of Eid for Muslims, therefore, bathe (on this day), use perfume and regard the use of the Miswaak (on this day) as an obligation upon you'." 'Suhail Bin Hanief states that Rasulullah (ﷺ) said that to bathe and use the Miswaak on Fridays are of the Hugooq (Rights or Duties) of Friday." 'I have seen Rasulullah (ﷺ) using the Miswaak many a time while fasting'." In another Hadith our Nabi (ﷺ) said that one of the best characteristics of a fasting person is his use of the Miswaak. It is recorded in many Ahadith that the Messenger of Allah (ﷺ) and his Sahaba were in the habit of having their Miswaaks on their persons while on a journey or during battles. 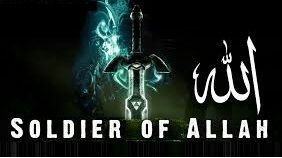 In the Kitaab, Kashful Ghummah it is mentioned that during battle the Companions of Rasulullah (ﷺ) would store their Miswaaks in the scabbards of their swords for use at the time of Salaat. "Whoever spurns or rejects the Miswaak is not of us (Muslims)." "If the inhabitants of a city spurn and reject the use of the Miswaak, the Ruler should wage battle against them like he would wage war against the renegades or murtad-deen." All the aforegoing Ahadith of our Nabi (ﷺ) and the statements of the learned jurists of Islam point clearly to the tremendous importance of the Miswaak in Islam. However, despite its elevated status, significance and importance, this noble practice is neglected and generally discarded by present day Muslims. Needless to say, this is one of the examples of the spiritual and worldly decadence that have set into the Muslim Nation. "He who holds on firmly to my Sunnah at a time when my Ummah are (grovelling) in corruption will receive a reward of a hundred martyrs." The Sahabas who were the best and the noblest examples and teachers of the Sunnah of our Nabi (ﷺ) viewed the Miswaak in a very serious light and regarded it as a practice of supreme holiness. Their constant use of the Miswaak, their continuous exhortations to use the Miswaak and their warnings to those who neglect the Miswaak are ample evidence of the nobility and the importance attached to this practice of using the Miswaak. "Regard the Miswaak as an obligation on you, and do not be neglectful of it. Be constant in using it, for verily, in it lies the Pleasure of Allah, The Merciful, and in it is greater reward for Salaat . . ."
"Miswaak is half of Imaan, and Wudhu is half of Imaan." (2) Constancy in the use of the Miswaak." "Miswaak is one of the Laws of Shariah. And, this fact is as clear as daylight. This has been conceded by the peoples of the world." "A pledge has been taken from us on behalf of Rasulullah (ﷺ) that we be steadfast in the use of the Miswaak at the time of making Wudhu. Should any of us be forgetful then he should tie the Miswaak with a string and hang it around his neck or keep it in his turban (so that it will be at hand when making Wudhu). The general public has broken this pledge . . . It (constancy in the use of the Miswaak) is indicative of the strength of one's Imaan and the degree of respect one has for the Laws of Allah and His Rasool (ﷺ). The Messenger of Allah (ﷺ) emphasised the use of the Miswaak. And, Rasulullah (ﷺ) was not satisfied merely with issuing an order once, but repeatedly exhorted his followers (regarding its use). "O my Brother. Be constant in the Sunnah of Muhammad (ﷺ) if: so that you may attain the great rewards of the Hereafter. Verily, for every Sunnah there is a rank in Jannat and this rank is obtained only by fulfilment of that Sunnah. "Abul Qaasim Ibn Qasi (R) has stated this in his Kitaab. Khulun Na'lain." "Abu Amr (R) said that upon the significance of the Miswaak concensus of opinion exists. There is no difference of opinion on this score. According to all learned men of Islam, Salaat performed after using the Miswaak is far nobler than a Salaat without Miswaak. Auzaai (R) said that Miswaak is half of Wudhu." "Verily, over a hundred Hadith have been narrated regarding the significance of the Miswaak. Therefore, it is a great astonishment to behold that so many among mankind as well as among the learned neglect such an important practice which has been emphasized to such an extent. This is a great loss." "He who becomes neglectful about the Aadaab is deprived of the Sunnats; and he who becomes neglectful of the Sunnats is deprived of the Faraa-idh (compulsory acts); and he who becomes neglectful of the Faraaidh is deprived of the Hereafter." person to protect the Aadaab of all his affairs and actions, e g. the Aadaab of selling and the Aadaab of Wudhu, Salaat, buying, etc. "And, the best of Miswaaks is the Peelo, then the Olive." The best type of Miswaak is that which is taken from the Peelo tree. In the Kitaab, Ta-heelul Manaa-fi' it is mentioned that the miswaak of the Peelo tree is excellent for obtaining the glow or glitter of the teeth. 'Use the Miswaak of the Peelo tree'." "I always kept a stock of Peelo Miswaaks for Rasulullah (ﷺ)"
"Use the Miswaak of the Olive tree. It is the Miswaak of a Mubarak (auspicious or gracious) tree. It purifies and makes wholesome the mouth. It removes the yellowishness of the teeth. It is my (i.e. Rasulullah's (ﷺ) Miswaak and the Miswaak of the Ambiyaa (Prophets) who came before me." In another Hadith it is stated that in the absence of the Peelo tree the Olive tree should be used, and in the absence of the Olive Miswaak, the Bitam tree Miswaak should be used.
" . . Thereafter it is Mustahab to use a Miswaak of a bitter tree because the Miswaak of a bitter tree removes odor of the mouth to a greater extent." "Niyyat of using the Miswaak should be made prior to its use." Translation: "O Allah, Purify my mouth: Enlighten my heart: Purify my body; And make my body unlawful to the Fire." Allamah Ibn Daqiq (R) says: "The wisdom underlying the use of the Miswaak after rising from sleep is that during sleep bad vapours rise from the stomach towards the mouth. This causes bad odour in the mouth as well as a change in the sense of taste. Use of the Miswaak eliminates the bad odor and rectifies the change which occurred in the taste." Hadhrat Ali said that "Miswaak sharpens the memory. Hadhrat Ali said that "Miswaak removes slime." Hadhrat Aisha said that "Miswaak (its constant use) is a cure for all illness excepting Death." (28) And, the greatest benefit of using the Miswaak is the attainment of Allah Ta'ala's Pleasure. Sawaab is concerned, i.e. if a Miswaak is not availa e the Sawaab (Reward) attendant to the Miswaak will be realised by using the fingers as a substitute provided that Niyyat (intention) of Miswaak be made when the fingers are used for this purpose. Hadhrat Amr Bin Auf Muzni (R) states that the fingers could be used as an adequate substitute for the Miswaak in the case of the latter's absence. "Imam Tahtaawi (R) says: 'The promised Reward (of using the Miswaak) shall be obtained in the event of the non-availability of the Miswaak, and not in the event of its availability'." "And, the significance of the Miswaak shall be obtained even though the finger or a cloth be used in the event of the non-availability of the Miswaak." If the toothbrush is made of bristles (pig's hair) then its use is not permissible. If bristles are not used, the use of the toothbrush is permissible. However, the toothbrush will not serve as a substitute in the case of the Miswaak being available. If a Miswaak is available Reward will not be realised by using the toothbrush. The same applies to toothpowder or any other means of cleansing the teeth. It should be remembered here that during the time of our Nabi (Sallallahu Alayhi Wasallam) substitutes, e.g. toothpowder, etc., existed, but our Nabi (Sallallahu Alayhi Wasallam) never equated these with the Miswaak. Therefore, the argument of the modernist that the toothbrush today takes the place of the Miswaak is fallacious and a good example of the apologetic attitude adopted by modern Muslims of today. Today, there have been 102 visitors (213 hits) on this page!